This seal style is designed to minimize friction and aid in the development of low-noise power steering systems. 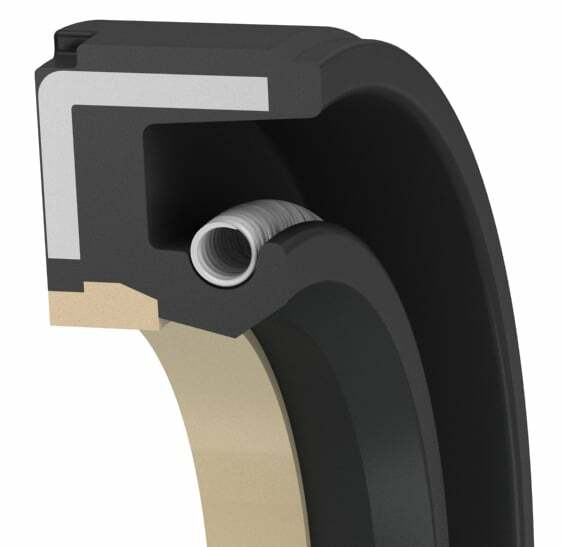 The solid captured insert leads to reduced friction, increased extrusion resistance, and reduces contamination. Temperature range and fluid resistance can be matched due to correct elastomer and polymer selection.